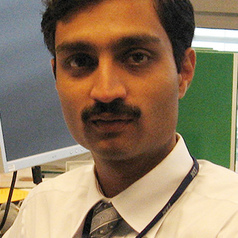 Dr. Nabin Sharma is a Senior Lecturer, School of Software, Faculty of Engineering & IT at UTS. He graduated with a PhD from the School of ICT, Griffith University, Queensland, Australia. His research area focuses on video and image processing, pattern recognition, and machine learning techniques for object detection and recognition. He has more than 14 years of experience in research & development and academia. He has substantial industry experience in software design and development while working on various projects at IBM India Private Ltd.